Home » Brands » Exposed! 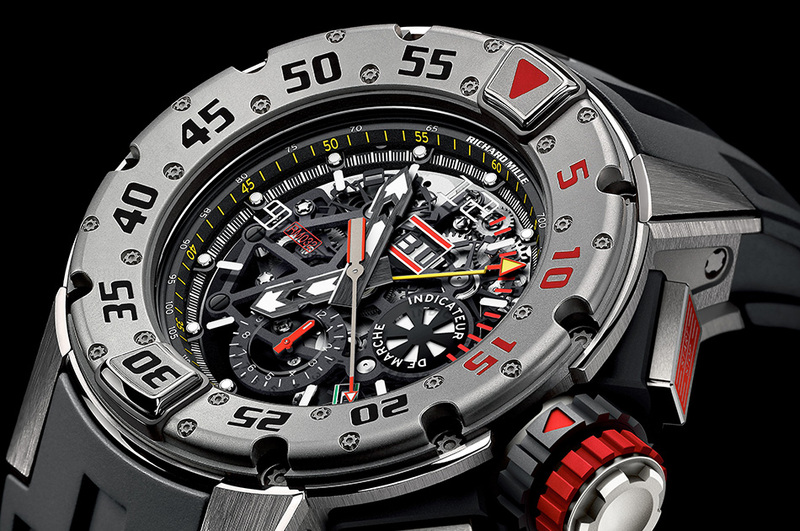 A Watch Brand Hierarchy – What’s on Your Wrist and Where does it Fall? Miles May 18, 2017 February 17, 2018 3 Comments on Exposed! A Watch Brand Hierarchy – What’s on Your Wrist and Where does it Fall? As a watch enthusiast, I am often asked, what is your Watch Brand Hierarchy? How do certain brands measure up to what you value in design and style? Rolex Exposed in the Watch Brand Hierarchy? 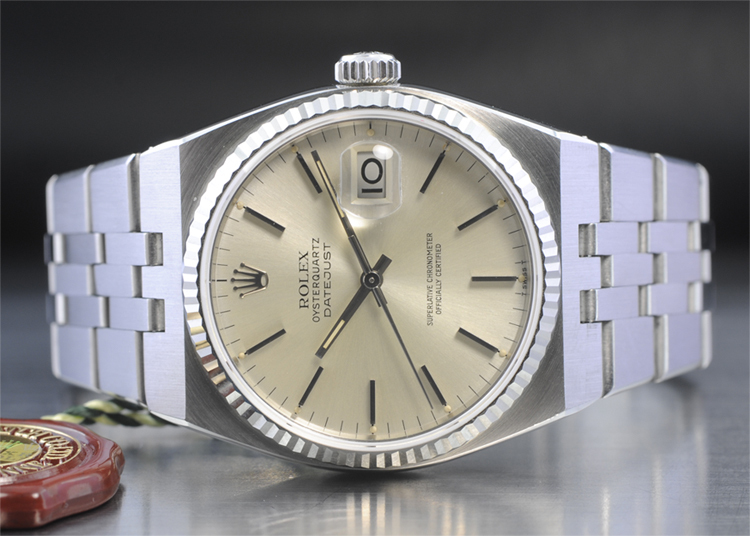 For good reason, Rolex seems to be the gold standard… even if they are not necessarily the best option. I know of people that shy away from Rolex just because of the fact that it is TOO marketed, TOO promoted, TOO saturated. 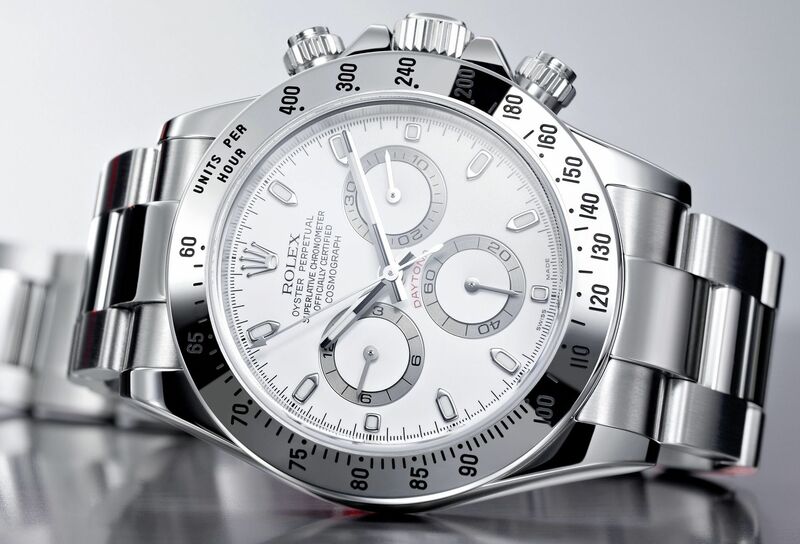 In fact, Rolex has spent over $50 million on advertising and routinely tops ALL watch brands in terms of funds spent in the area. What this does is it gives Rolex a certain mystique that may not be all that entirely deserved. Let’s face it, it is only because even Grandpa always wanted a Rolex. Let’s face it, it is only because Grandpa always wanted a Rolex that may turn some people off to the fact entirely. This is by no means the fault of Rolex. 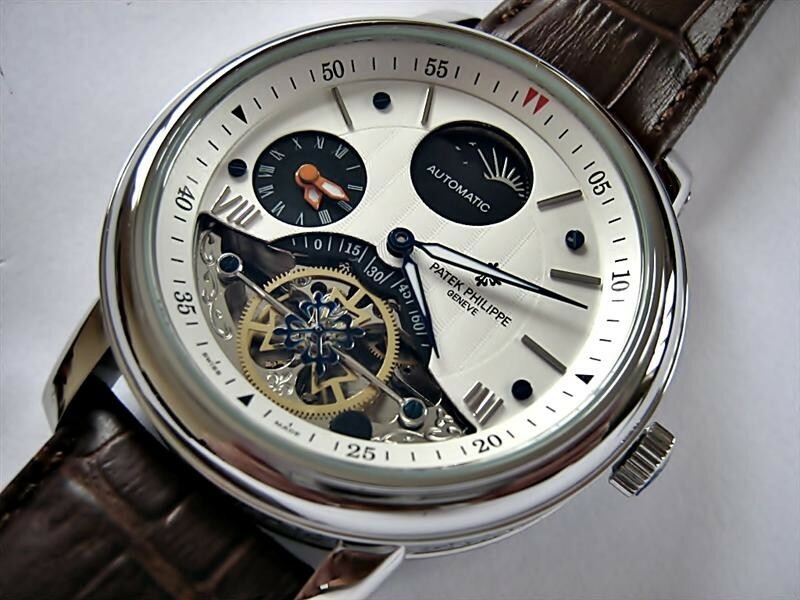 They are an extremely well-constructed brand and serves well as a quality timepiece for almost any situation. But in the grand pantheon of watch manufacturers, Rolex falls short. 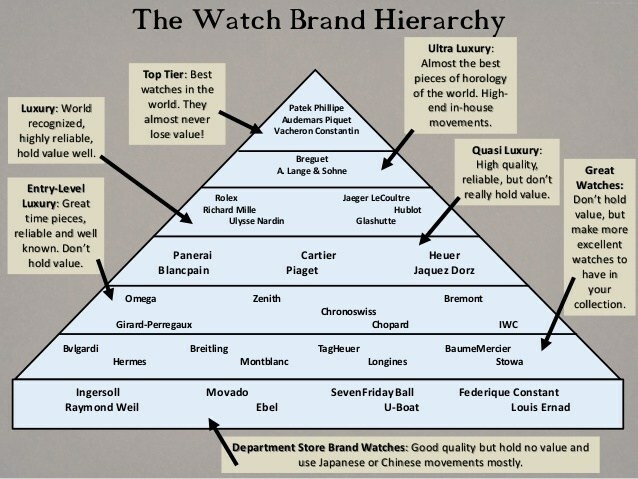 So without further adieu, the Watch Brand Hierarchy! Now before you blast me, this is a borrowed list! So be sure to keep in mind what this list entails. It is by no means comprehensive but definitely takes care of a lot of brands out there. A couple of things that I disagree with on this list include having IWC and Omega so far down on the list. 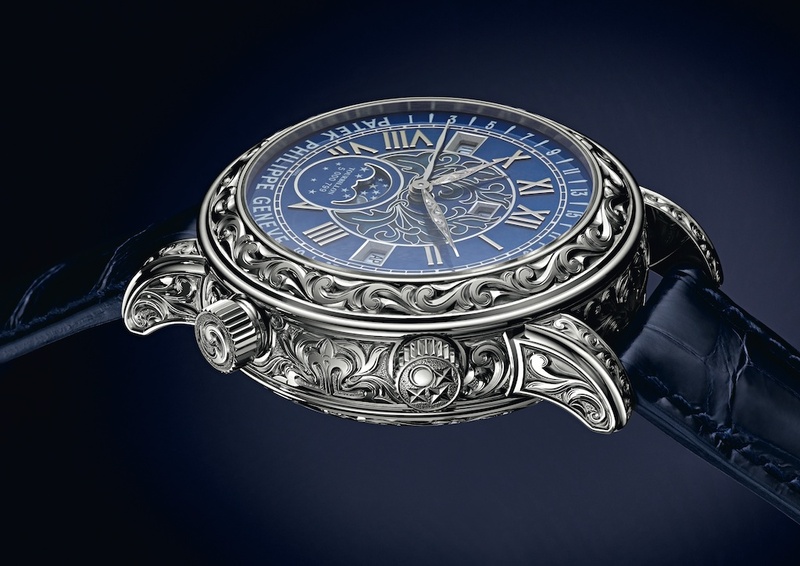 In my opinion, those brands are extremely high quality and carry an amazing heritage which is a few things that can make a watch expensive in the first place. But the other brands in this watch brand hierarchy deserve to be where they are. I am sure that there were many factors in putting this list together. Things such as heritage, how it is manufactured, innovation, reliability and accuracy, creativity, even market perception. 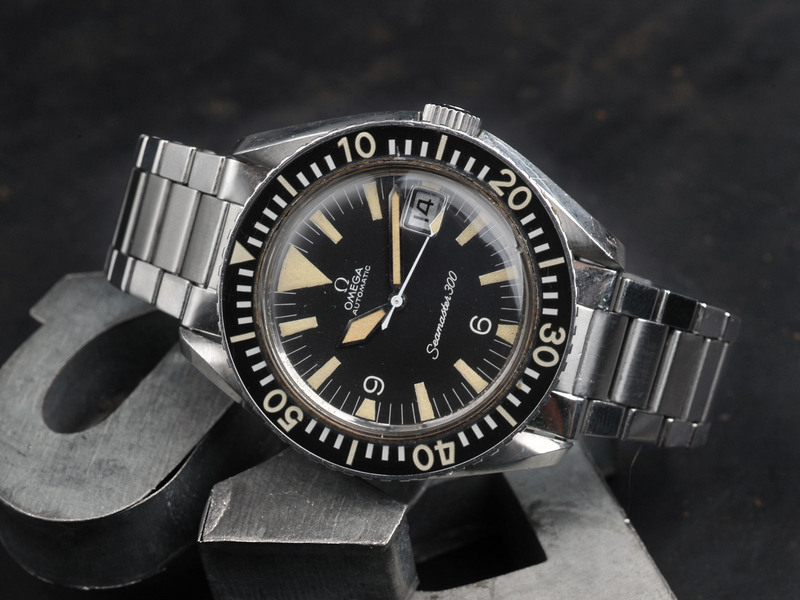 These things, whether we like it or not, are major considerations when looking at a watches value. 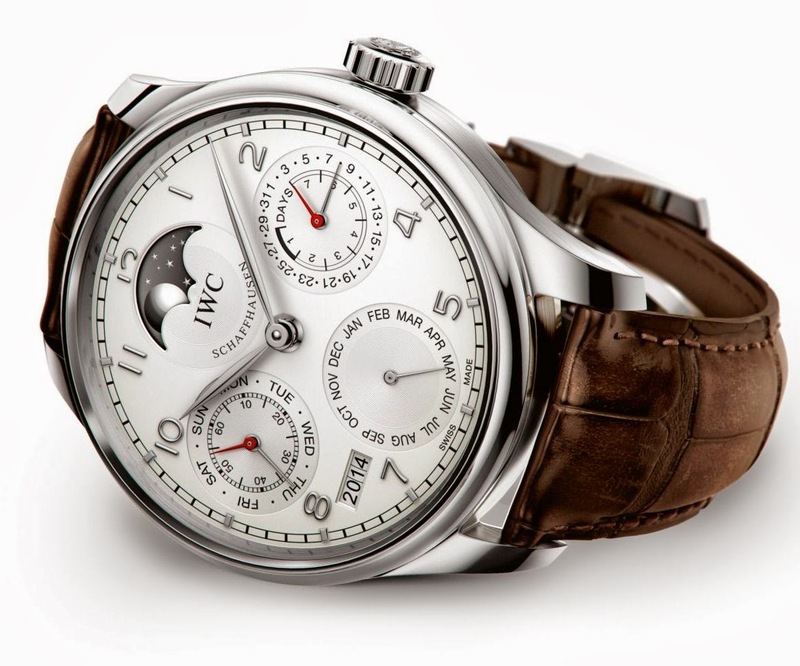 For more information on assessing a watches value, read more about it here! I won’t regurgitate the information in the pic above, but I will just give you my highlights. 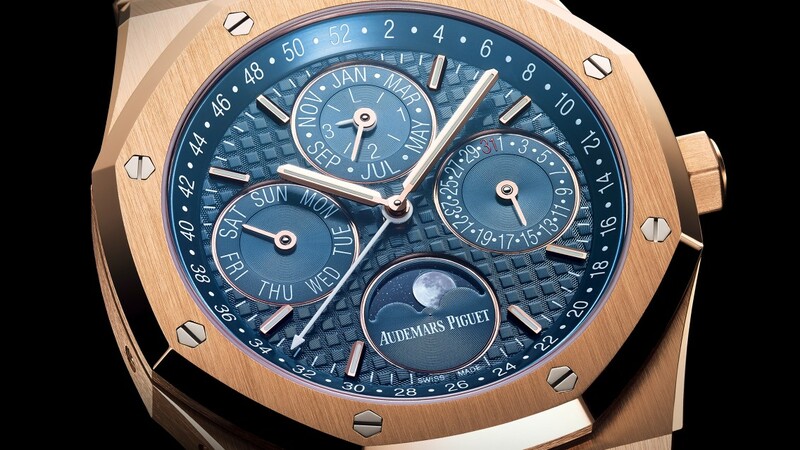 There is no doubt that Patek Phillipe and Audemars Piquet are the top dogs. They are bar none, the best in quality, construction, notoriety, and (gulp!) price. The price of some of the higher quality ones come in around $75,000+! This is followed by A Lange & Sohne, Ulysse Nardin, Hublot and the like. Then… Cartier, Panerai and finally the classic Rolex… took a while for it to show up! But this further proves my point, that you should not always just buy into the hype. it is “hype” for a reason. 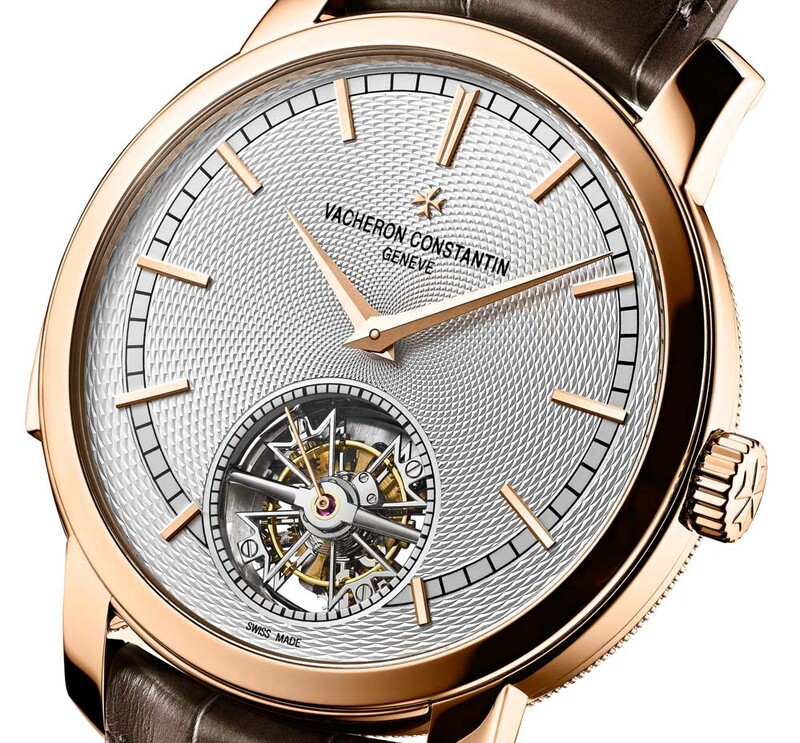 Rolex does provide luxury watch styles, but they do not compare with some of the top-notch brands like Vacheron, Jaeger LeCoultre, and others. 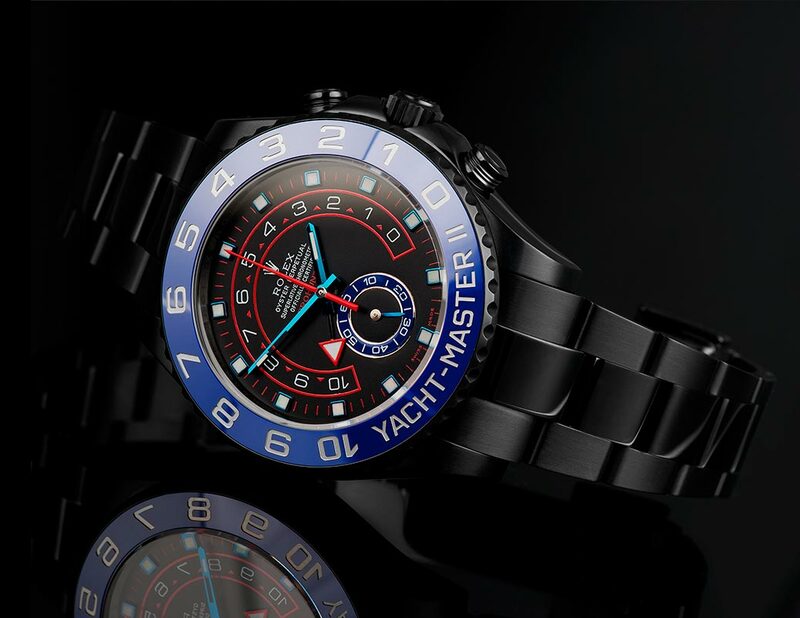 So if you have a little cash to blow and want to pick up something for yourself, in my Watch Brand Hierarchy, there are many affordable options starting with the Rolex and on down. 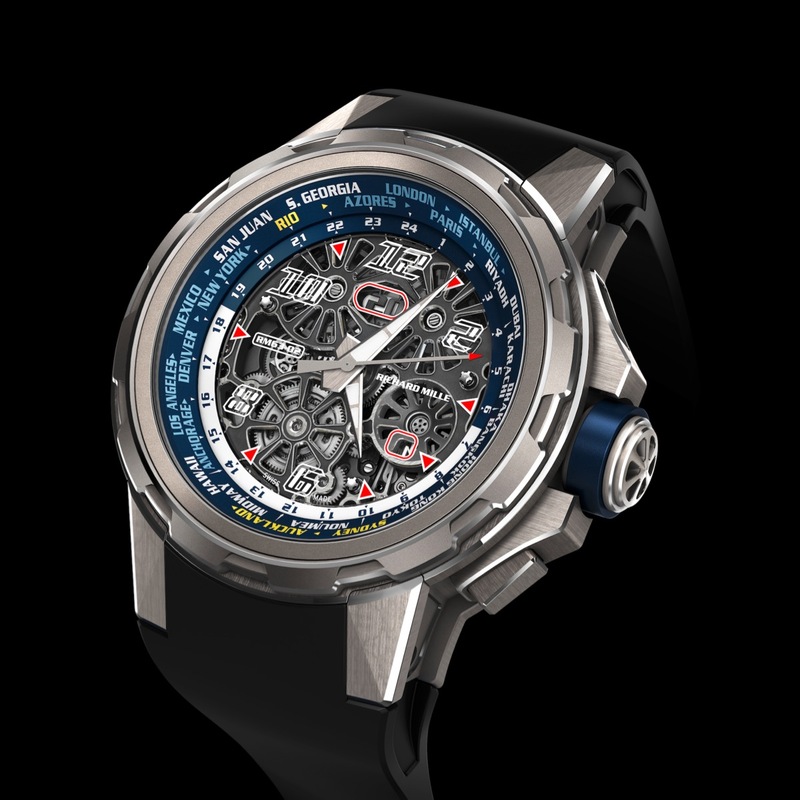 For some, it is easy to put $3,000 or even $5,000 onto a watch investment, so luxury brand watches like Omega, IWC, Rolex, Richard Mille fall within that range. 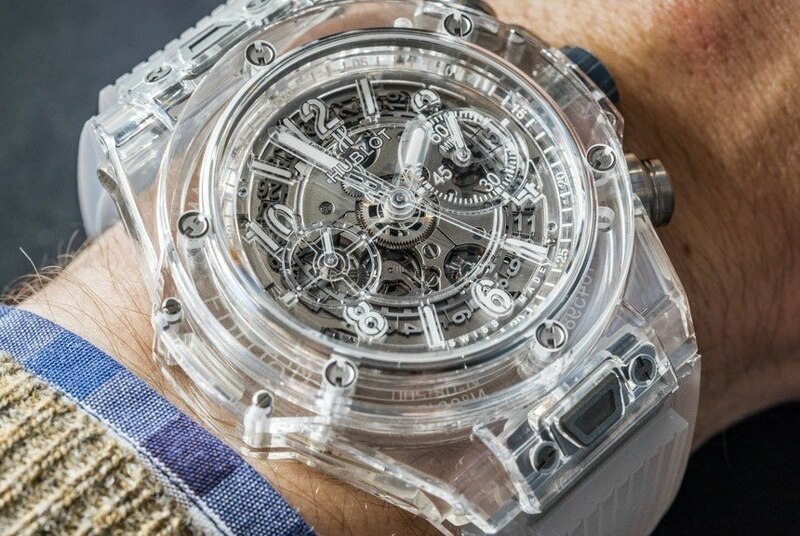 Maybe I do not know the right people, but I do not know many people that have an extra $100,000 to $200,000 just laying around to spend on a watch. If you do, you can contact me at miles@luxurymenwatchesbymiles.com and we can get you the best watch possible and you can be on my super-rich person list who I happen to know! If anything, I hope this post helped you visualize watches. Just because you are walking into your local Macy’s and see that Movado looking really nice behind the glass, doesn’t mean that its a terrible watch. It still does what it says it will do… which is tell time. But do not expect to turn any heads at any high-liner events walking in with a cheap $20 Casio. If yoiu are like me and interested in collecting and learning about watches, check out this guide I recently purchased and really enjoyed. So what do you think? Am I way off? Feel free to let me know in the comments below! I always love debate. If I missed a watch brand and you think it should be included in this review, state the brand name and manufacturer below. I like a particular Japanese brand Seiko. Although it is not a high end luxury watch, I like its elegant and classic design and Japanese products are known for its precision. 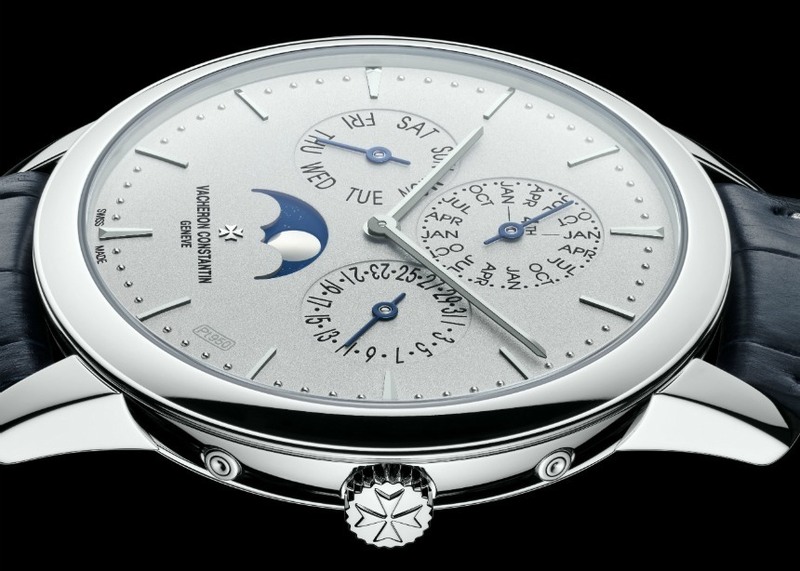 Seiko makes outstanding watches. They make premium ones too like the Seiko Aston and Prospex. Japanese watches have gotten better over time and are more and more accurate. You should be able to achieve great looks with some of the beauties that they are producing at the moment. A nice opinion on the hierarchy of brands which in my view has much to do with snobbery and image rather than quality of the piece itself. I respect a reliable solid ETA, but understand that the same machine placed in a ”lesser” brand commands much less currency for no other reason than its lack of marketing prowess. 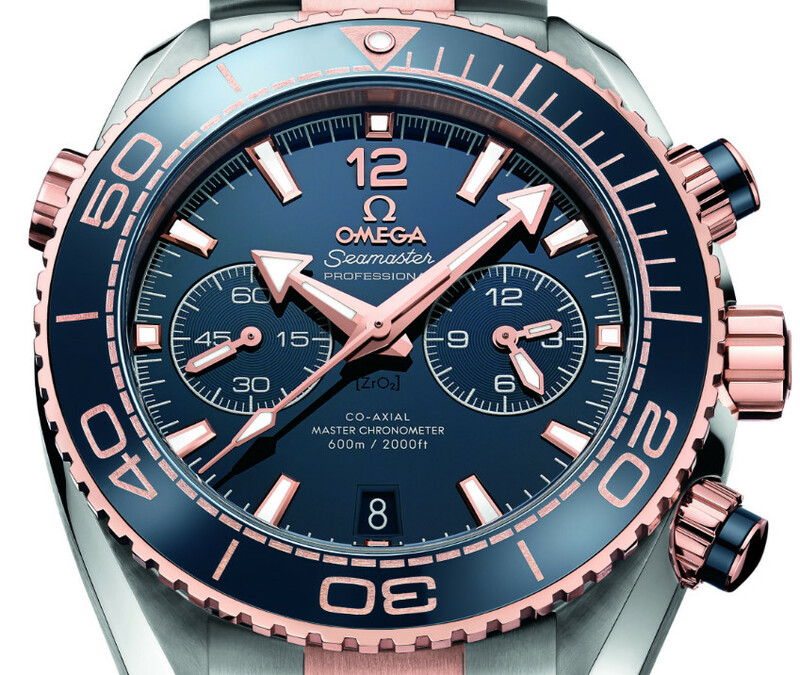 In truth, the average bloake on the street won’t know the difference unless it is a higher profile brand like Rolex, and to a lesser degree Omega, and Breitling. Having said that, I feel your placement of Breitling is wrong. Swap it out with Bremont. 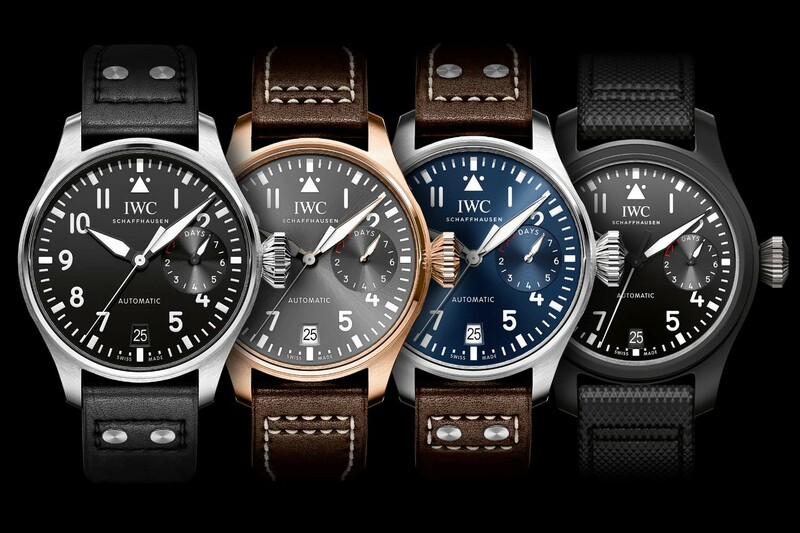 It is just wrong to lump this brand in with the likes of Stowa, Longines, and Bulgari.